It's been a very long time since I bought anything from Skinfood. I think the last purchase I made was a repurchase of their signature Black Sugar Serum (and that was back in 2014!). South Korea is well known for their cutesy packaging and beautifully designed products, and more importantly, for how effective their products are. It takes just a moment of looking around at the women here to be able to see how beautifully cared for their skin is. A large reason their skin looks the way it does is because of protecting their faces (and every other body part) form the sun, but they also spend a lot of time and effort on their beauty routines (do you remember my post on the 10 Step Korean Skincare routine?). There are so many Korean skincare and beauty brands, and each of them is associated with something unique. Etude House is know for it's very cutesy and girly packaging, Missha is seen as a higher end brand, Tony Moly is what all the school girls favor and Innsifree is seen as the Eco-friendly flagship brand. I always saw Skinfood as one of the cheaper brands, more so when it came to quality than actual price. Most of the products from Etude, Tony Moly and Skinfood are actually priced very similarly but from the look of their packaging, I wasn't really blown away. For the past week I have been trying a very exciting new addition to the Dear Klairs range of beauty products. Dear Klairs is a Korean beauty brand established in 2010 in Seoul, South Korea, and what I love most about them is that they do not test on animals and their their products are alcohol-free, paraben-free, and artificial-color-free! The majority of their products are catered towards sensitive skins, and their latest addition, the Midnight blue Calming Cream is no exception. If you have 'patchy' skin, dry and undernourished only in certain parts of your face, then this cream is just for you! I have tried out a number of their products (courtesy of WishTrend) and have been most impressed with them. Dear Klairs has actually become one of my favourite Korean beauty brands, and I have tried LOTS of Korean. Here are my own (always honest) reviews for the products I have tried out so far. As with most of their skin care ranges, they claim to to contain lots of of natural ingredients from the Island of Jeju. I'm sure you can guess what is extra special about this cream and what special ingredient goes into it? It's winter here in Korea, and the icy cold wind has wrecked havoc on my normal to combination skin. I hate the feeling of having tight skin after a hot bath (thank goodness for my bath tub...even though it's a shocking shade of pink nothing beats a hot bath after a day of being out in cold). I've been using and loving this Honey Mask from I'm from which was kindly set to me by WishTrend to review. I'm from is a Korean skincare company that I hadn't heard of before trying this product. I initially though there must have been something lost in translation when I say first saw the jar as their name sounded very unusual. I kept trying to understand 'where' they were from. This mask is very difficult to get your hands on here in Korea. Due to it's popularity it's often out of stock online. It's currently in stock on WishTrend, an online Korean beauty store which delivers worldwide. As you may or may not have noticed from my ever growing list of reviews, I am quite a fan of Korean beauty products. There are so many lotions and potions and pretty bottles and tubes (not to mention all the on going sales throughout the month) that it's hard not to get hooked. There is also a reason that Korean Beauty products are so sought after...they work. As a South African (ie I do not have, nor do I want, a face that is as white as snow) I have had my fair share of trial and error when it comes to Korean beauty products. Being part beauty blogger (I also sell stationery and am a freelance photographer) I choose to only review the products that I really do love and actually use. If I buy a product and I don't like it, I won't feature it. I'm not into tearing down a product just because it didn't work for me, as it may work for the next person. As Korean skincare products are so different to Western brands, it goes without saying that there are different ways to using them and preferred method of application for each product. Have you heard about the 10 Step System? If not don't worry, all will be revealed soon! Last week I started up a fun Instagram challenge to help us combat the icy cold Korean wind and the havoc it wrecks on our skin. It's not just the outside elements that lead to dry skin, but even more so, it's the air-conditioners in our classrooms and apartments that leaves our skin feeling tight flaky. I started a facemask challenge to make use of all those facemask most of us have lying around at home. 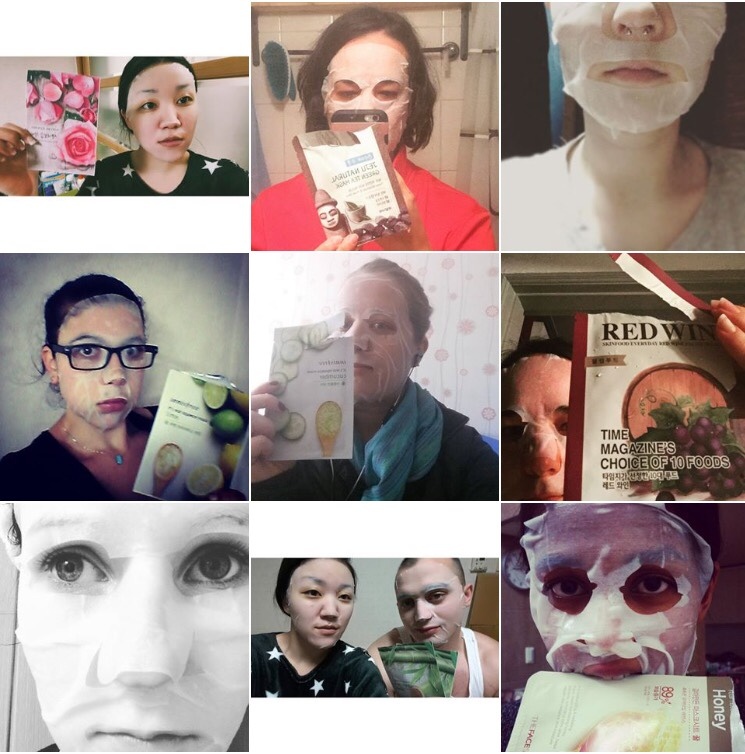 I created the hahstag (#cgsfacemaskchallenge...the CGS stands for CityGirlSearching, the name of this blog) and then asked everyone to snap a photo of themselves with their face masks, and tag their photos with the hashtag for the challenge. I really didn't expect so many of my friends and followers to take up the challenge, and was blown away by all the photographs everyone uploaded. 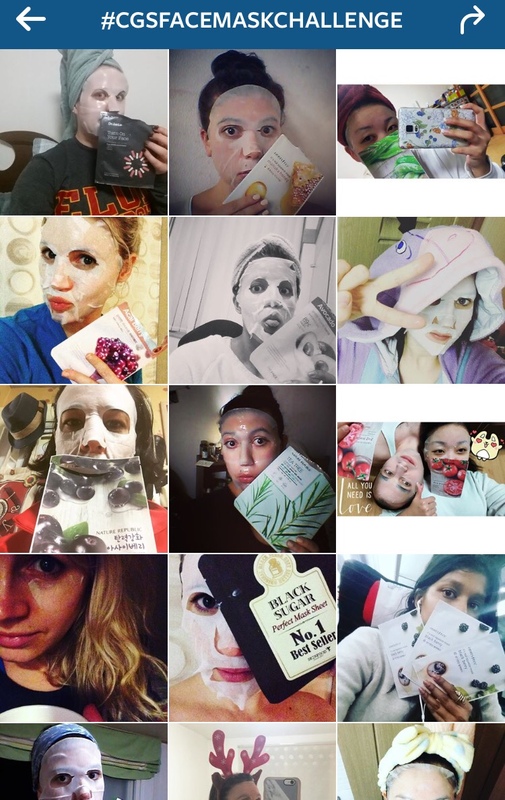 It was so much fun to see everyones different poses and to hear their views of the different face masks. South Korea is famous for their 10 Step Beauty Routine (blog post to come soon!) 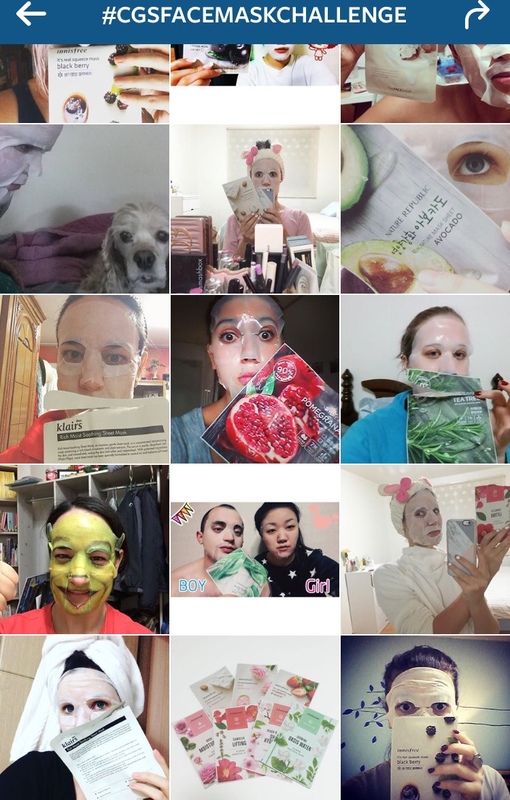 and one of the steps that Korean women advocate is the use of a face (or rather, sheet) mask. You can buy these masks in every beauty store here in Korea, and they are so affordable, with prices ranging from W500 (+- US$.50) and upwards. The skincare stores here often have specials where you can pick up a pack of 10 for a few KRW1000. I used a mixture of masks from Innisfree (around W800 a pop) and my new favourite brand for sheet masks, Mamonde (each mask was about W1500). At the start of the challenge I was worried that I would end up breaking out from using a different mask every night, but that didn't happen at all! Instead, the few pimples I had from recently changing my skin care routine cleared up dramatically and my skin felt baby soft and full of moisture every morning! I was shocked! 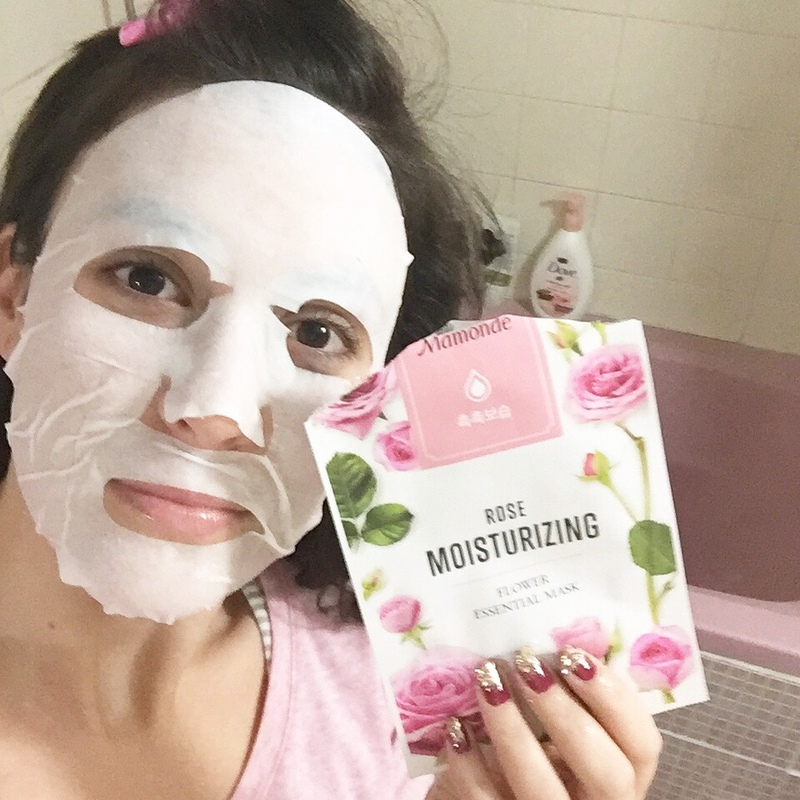 Before this challenge I had used a sheet mask maybe once a month or so, but after using them every night for the past week I think I am going to start using them regularly, at least 3 or 4 times a week. I was worried about the time it would take to apply the masks, but after the second day I was in a good routine and simply popped one on at night, carried in with whatever I was doing (watching series, doing he washing, eating dinner) and then took it off just before bed. My skin definitely looks brighter and I have no more annoying flaky bits of skin around my nose area. Another thing I have noticed is that my foundation and BB cream no longer 'sits' on top of my skin, but rather sinks in properly like it's supposed to. I was having to use a primer to prevent the foundation from streaking and and sitting in my pores, but now it goes on effortlessly and looks far more natural. I was even able to use a BB cream I had long ago cast aside because it was so thick and I was never able to get it to blend into my skin. 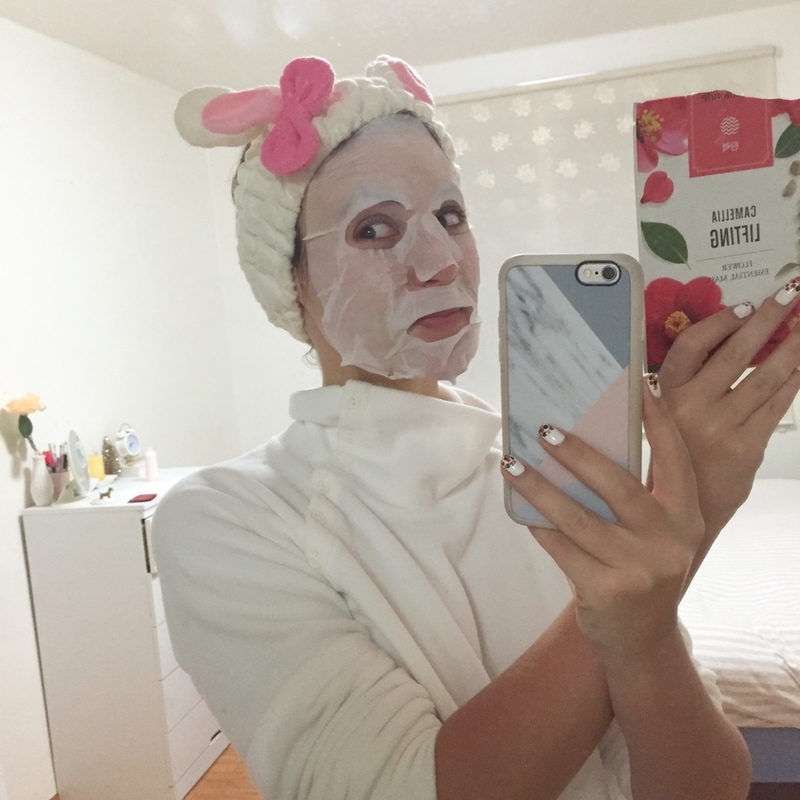 These sheet masks are just the best thing! Thank you to all the ladies below who took part in this challenge. I hope you all had as much fun as I did and that your skin loved the masks too. I think this needs to be an ongoing challenge, especially in winter! 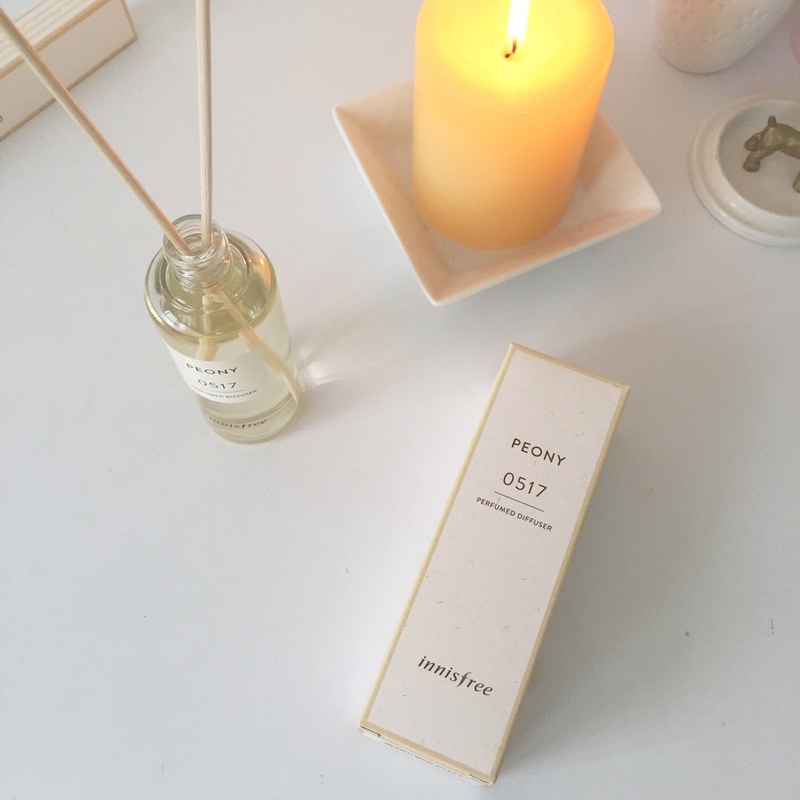 Today I want to share with you a short post on this delightful room diffuser from Innisfree. I picked this up during their 50% sale last month (oh just in case you see read this post today Friday 11th December) Innisfree are currently having their 30% off monthly sale. Not quite as good as the half price sale, but still a sale giving you a few extra pennies in your pocket for Christmas shopping. Innisfree is one of my absolute favorite Korean Beauty Brands (you can see just how much I love them by looking at my Beauty page...I've got 'one or two' Innisfree reviews on there hehe). This review is of the Peony Perfumed Diffuser. When I was in store, I also really like the Fig (I think I might need to add that to my Christmas List!) which has a very fresh and clean smell. When choosing a perfume diffuser, I was worried that about the fragrance being very over powering, but it's very subtle. It gives the room it's placed in a very soft fragrance that lingers, without leaving you feeling sick from the sweetness. Another great one I would recommend is the Lemon scented diffuser. It would make a good kitchen (or even bathroom) addition. The diffuser is sold separately from the reed stick, which comes in 3 different versions - the basic reed stick (this I the one I have), the twig , and the flower . The flower is very pretty but I'm not sure how well it work to diffuse. The perfumed diffuser costs 20,000 Won, and the reed stick's price depends on which version you buy. The basic reed stick is 2,000 Won for a pack of 10, the twig version is 4,000 Won, and the flower is 5,000 Won. And it doesn't hurt that the bottle is so beautiful to look at, as is the design of each and everything I've ever bought at Innisfree. Do you own a room diffuser? I'd love to hear from you in the comments below. For the past few days I have been trying a very exciting new addition to the Dear Klairs range of beauty products. Dear Klairs is a Korean beauty brand established in 2010 in Seoul, South Korea, and what I love most about them is that they do not test on animals! I have tried out a number of their products (courtesy of WishTrend) and have been most impressed with them. Here are my own (always honest) reviews for the products I have tried out so far. You can shop for the Klairs range of products on WishTrend, a Korean beauty platform which stocks lots and lots of Korean Beauty brands. A little bonus for my readers, by using this code 052313605 you'll get $5 off your first order. I am currently testing out the much talked about Klairs Vitamin Drop (which you can buy as a set along with my favourite BB cream, the Klairs Supple Illuminating BB Cream for only $34 on WishTrend) . And now back to the review. So what's all the fuss about Vitamin C I hear you say? Now I'm no scientist, just a lowly ol' beauty blogger with a love for any and all things beauty, and so I enlisted the help of Korean Beauty Guru blogger Charlotte from Soko Glam to help me out here. And you guessed it, the best of the best for the skin is...Vitamin C. You can read the full article by clicking here. I recently raved about my experience using the Innisfree Whitening Pore Serum with pretty drastic before and after photos (click here) and so have really interested in knowing more about Vitamin C.
This Vitamin Drop serum from Klairs contains a 5% concentration of Vitamin C, meaning it is perfect for even the most sensitive of skins. As a rule of thumb, the higher the Vitamin C concentration, the more likely it will cause sensitivity. For those first time users of Vitamin C (like myself), the 5% contained in The Klairs Vitamin Drop serum is the prefect place to start. I have only been using it for a few days so I can't speak on the effectiveness yet. What I have noticed so far in the few days of use is a faint, warm sensation when applied to the skin. Nothing unpleasant, it actually feels like I am applying a warm towel to my skin. I have also noticed that my skin is being purged (small pimples are coming to the surface that were obviously waiting for the right moment to pop up). I was very worried about this and though perhaps I was having a bad reaction to the product, but have since realised it's normal. I apply the serum after cleansing, toning and applying essence. I leave it on for about 10 minutes before applying my eye cream, day/night cream and sun cream. I have noticed that my skin is a lot more mattified since I added this serum into my routine, and I have also been very pleasantly surprised to notice that I no longer have flaky skin on my nose area. I am very excited to see more results and will report back after a few more weeks of use. 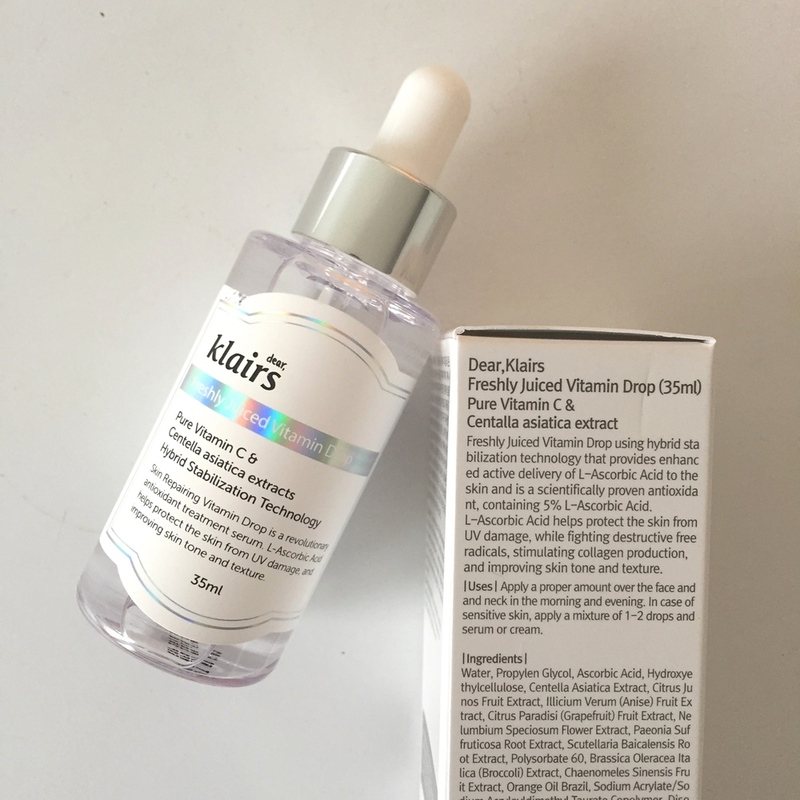 You can buy the Klairs Vitamin Drop serum on Wishtrend for $17.25 by clicking the button below. I have also recently added the much talked about Misha Time Revolution First Treatment Essence & Toner to my skin care routine and will be making a video on them very soon. I was most pleasantly surprised when I tried out this BB cream. I had read really great things about it online, but reviews only go so far and I always worry about BB creams making my skin look ghostly pale. Luckily this is not the case for this BB cream. 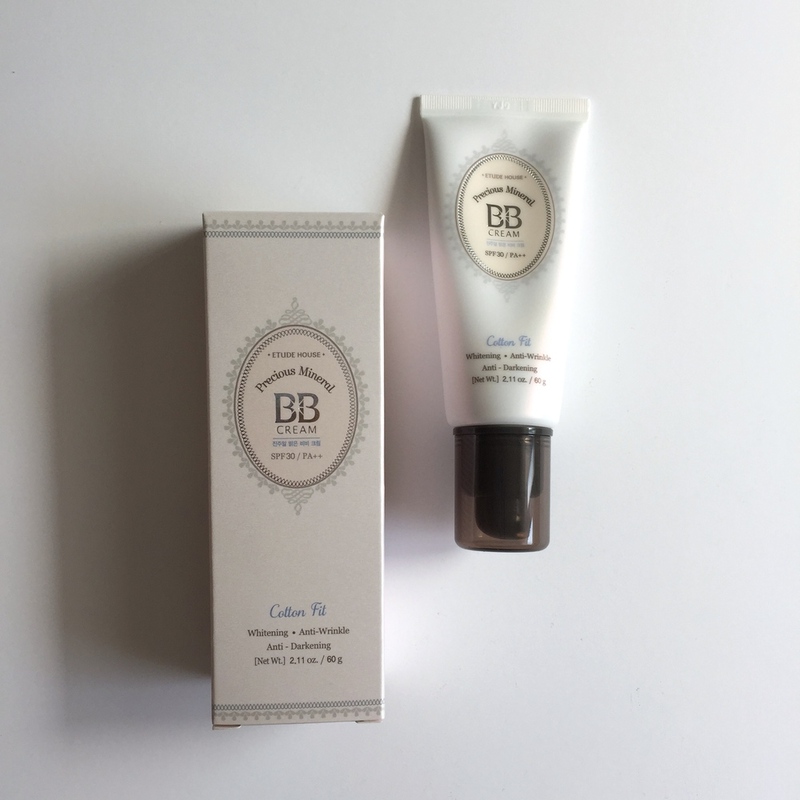 With a lovely powdery scent, and a wonderful powder finish, this BB cream has crept into my heart and my makeup table, finding it's way as a close contender for my favourite Klairs Supple Illuminating BB Cream. One thing (and it really is only a small gripe) is with the white tube. White and foundation don't go together vey well. I took these photographs after only using this BB cream once, and I got foundation smudges on the side of the tube. That's why my tube looks a little dirty. That problem is easily solved if you use a Foundation brush though! Here is a little video review I made of this product, as well as a quick tutorial showing you how I made up my face after using the Precious Mineral Cotton Fit BB cream. You get 60g of product in each tube, so it's going to last you a long, long time. As you can see, the easy to use dispenser gives you just enough product for an even application. In the photographs below you can see just how seamlessly the product glides into my skin. I would say one layer will give you medium coverage, but this BB cream is very build-able. One more pump and you would have a high coverage foundation with all the other great properties of BB creams (sun protection, moisture & cover). I chose the middle shade, Natural Beige and it's perfect for my Olive skin. It is currently winter here in Korea and my skintone has faded slightly, but I am usually MAC NW 25. 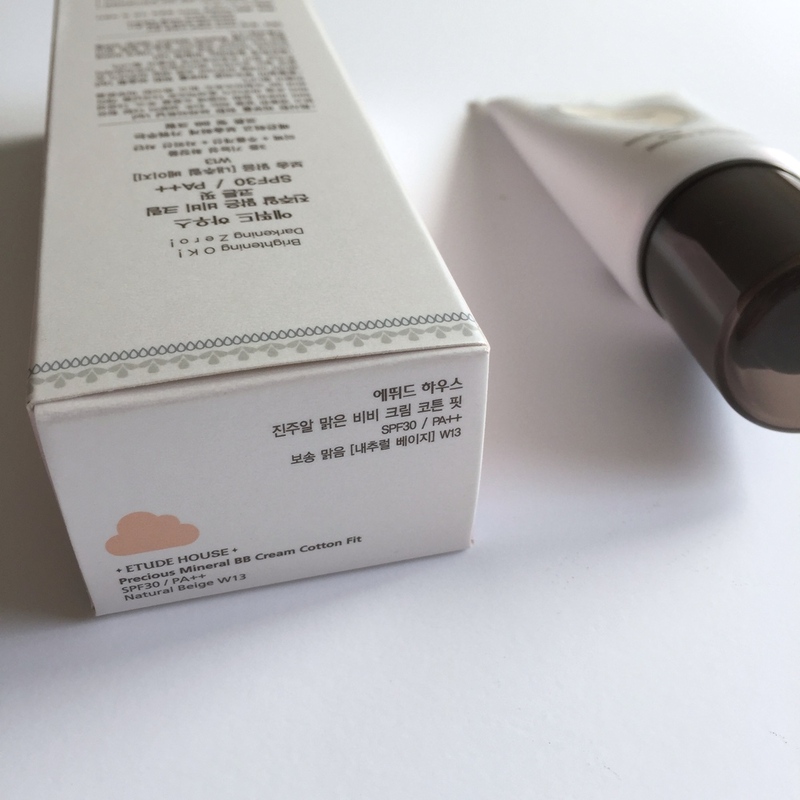 Have you tried this BB cream before? What did you think? I'd love to hear from you in the comments below. Even though it's technically winter here in South Korea, whether you wear sunscreen (or suncream for my South African readers and sunblock for my American readers) should not be dependant on the season or weather. It should be worn every day regardless of how much sun you actually see in the sky. 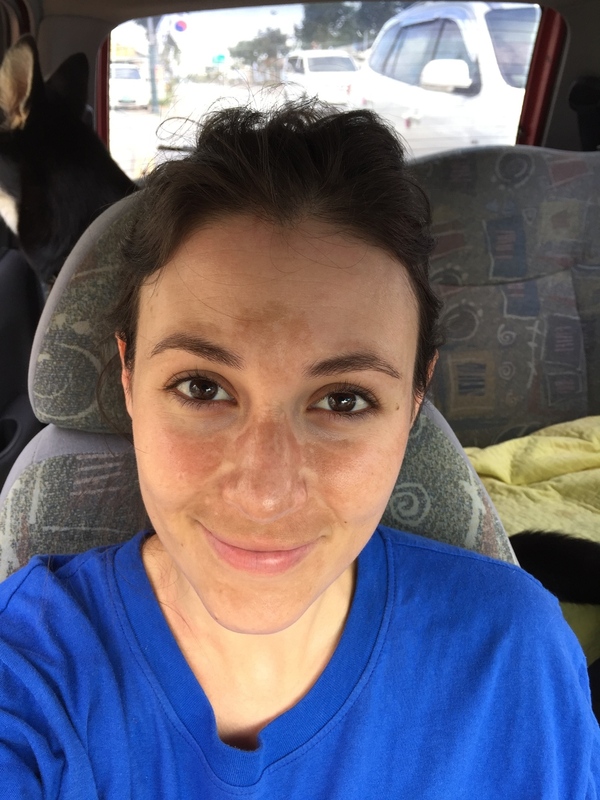 For my own skin, I suffer from pigmentation (click here to read about my new wonder product from Innisfree) and one of the main causes of skin pigmentation is sun exposure. Having grown up in a country that has plenty of year round sunshine (South Africa) I was exposed to A LOT of sun growing up, and even though my parents were very cautions and made ma layer up with cream and hats when outside, I still spent a lot of my teenage years baking myself outside to achieve the perfect tan. Now that I am older and wiser (and the first few wrinkle...ahem, I mean 'laugh' lines are appearing) I have been making sure to wear a face suncream every day, without fail, and have incorporated it into my beauty regime. It's something that is just not worth missing out on. UVB is the chief culprit behind sunburn, while UVA rays, which penetrate the skin more deeply, are associated with wrinkling, leathering, sagging, and other light-induced effects of aging (photo-aging). They also exacerbate the carcinogenic effects of UVB rays, and increasingly are being seen as a cause of skin cancer on their own. Sunscreens vary in their ability to protect against UVA and UVB. Thankfully, these days, suncreams are no longer these thick lotions that turn you a ghostly shade of pale, and there are so many skin care lines that are producing suncreams with various properties. I have always been a BIG fan of the FaceShop's range of suncreams (like their Oil Cut range which is great for oilier skin and provides a matte finish) and ha been alternating between that and their Natural Sun Eco Power Long Lasting Suncream. That was until I tried the Eco Safety Perfect Sunblock from Innisfree. As you can see this particular suncream has an SPF factor of 50+ and is PA+++. So what does PA+++ mean? PA is a Japanese/Korean rating system that shows how much protection you are getting from UVA rays. You will see either PA+, PA++, or PA+++ on the label, with more + signs meaning a higher level of UVA protection. 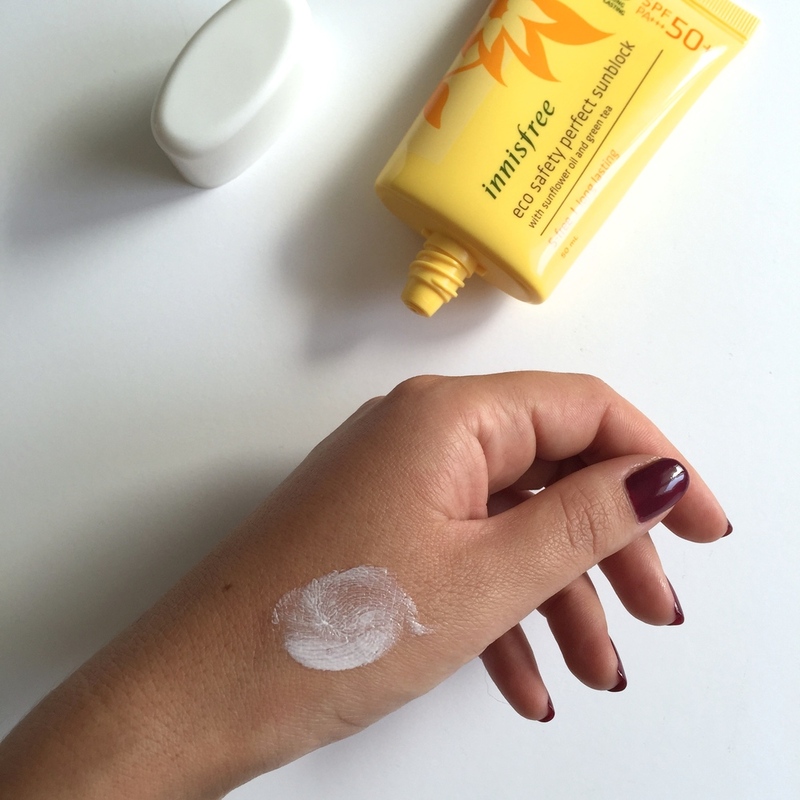 The Eco Safety Perfect Sunblock from Innisfree combines all of my needs in a suncream. It's mattifying, non-greasy and acts as a primer for my skin, allowing my makeup to glide on top effortlessly. It sinks into my skin instantly so no waiting around for that typical suncream shine to go away. The Innisfree Eco Safety Perfect Sunblock SPF 50+ PA+++ is made with organic sunflower oil and organic green tea grown on Jeju island in Korea. It’s also made with their famous “5 free” formula. According to Innisfree, their products are free of parabens, artificial dyes, ethanol, animal ingredients, and mineral oil. 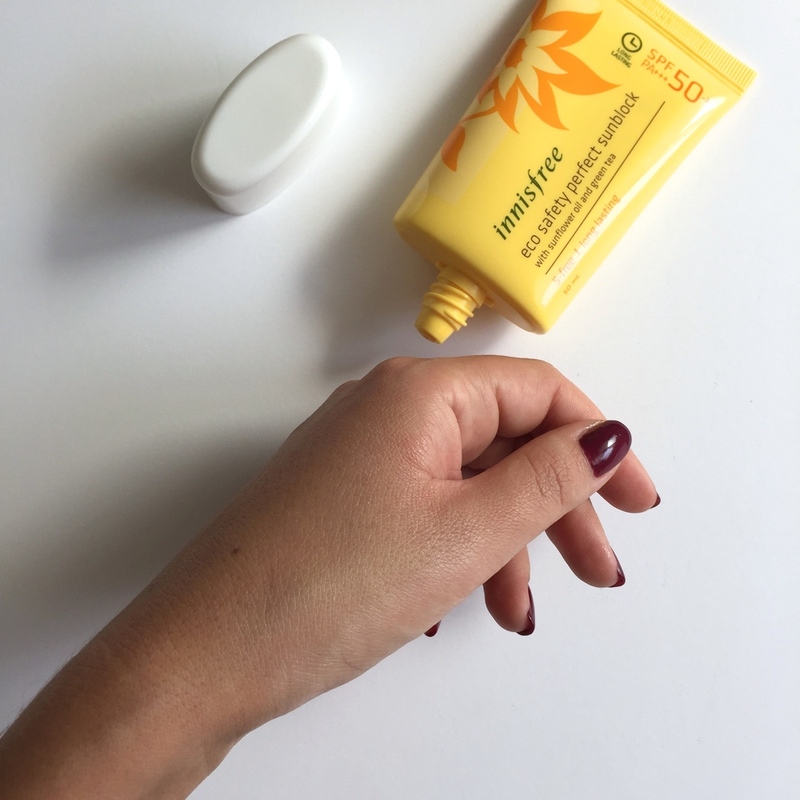 I have normal to combination skin (although it is drier in Winter times and oilier in the summer) and right now this suncream is perfect for my skin type. If you have oilier skin, Innisfree does offer a formula called Eco Safety No Sebum Sunblock which absorbs sebum and provides more of a matte finish. I find currently, this formula offers the perfect makeup base for my skin and I love how soft and smooth my skin is after using it. The cream is a thick, white formulation which I didn't find left a white cast on my skin at all. I have an olive skin tone (which is much darker than most Koreans) and yet I didn't find that my skin had a white cast at all after application. You can see my hand in the before and after photographs below. I will most definitely be repurchasing this suncream when mine runs out and have been most impressed with the formula as well as what a great makeup base it is. Are there any sun care products that you current love? I'd love to hear from you in the comments below! Innisfree established itself in Korea in 2007 as the first natural beauty brand to set up shop in Korea and it markets itself as an authority on eco-friendly skincare. 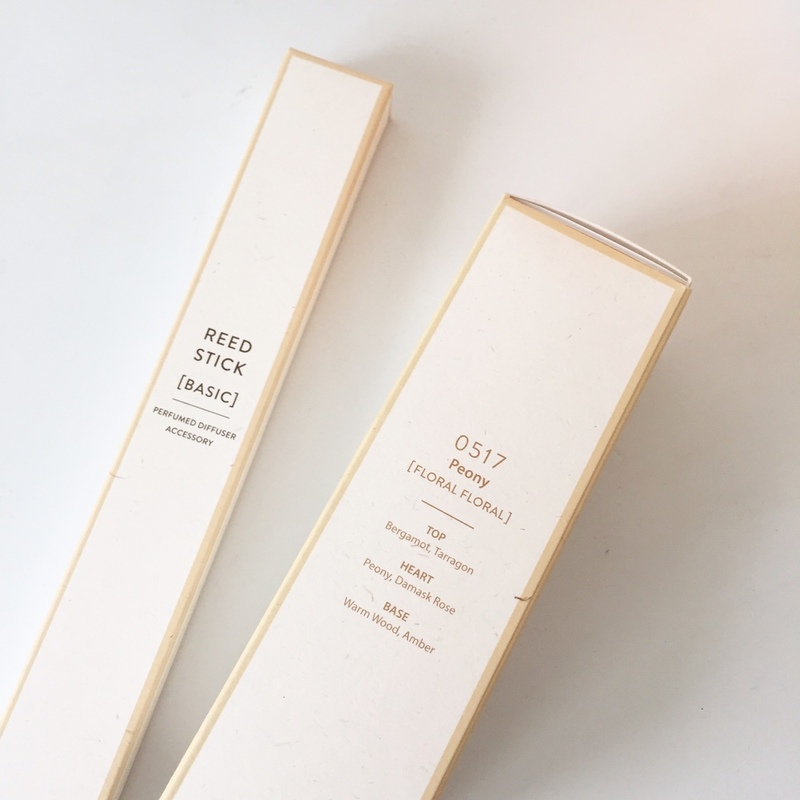 Their products feature extracts of pure ingredients from Jeju Island and are packaged in eco-friendly materials, making me, and a lot of other women, huge fans of this skincare brand. I have been using the Innisfree Whitening Pore Synergy Serum for a while now and I'm really excited to share my thoughts on it with you. One of my biggest skin concerns is pigmentation. When I was younger I had pretty bad skin (lots of pimples and my skin was always inflamed from my constant touching and picking) and I tried a host of lotions and potions, eventually resorting to Ruaccutane which sorted my skin out after the second round of use. Since then I have been lucky to have pretty clear skin. But, I do suffer from pigmentation, which I'm sure is a direct result of the contraceptive pill. I don't view my pigmentation as a dehabilitating thing, I know it's more of a vanity issue than anything else, but I am always interested in products that are specifically catering for this skin issues. I wear a factor 50+ sunscreen everyday, and wear a hat most of the time that I am outdoors to combat any further damage to my skin. It's the summer months when I am outdoors more and the sun is stronger, that my skin really suffers. I know there are more permanent options out there, like laser and peels but they scare me a bit and as I am pretty sure my skin is due to The Pill I am planning on waiting until after I have children before venturing into the realms of laser. This serum claims to offer the combined goodness of an ampoule & an essence (if you're not sure what the difference is between the two click here) for an intensive whitening treatment. It claims to diminish dark spots and brighten uneven skin-tone. On that note, here is a before and after of 4 weeks of use of this serum. All these photographs are unedited and I am not wearing any makeup in either of them. Although the lighting is a bit different, the results are quite drastic. These shots were all taken on my iPhone in the early morning after a light walk with my dog. I really hadn't noticed an actual difference in my skin tone until I put these photographs next to each other. Although the pigmentation is still noticeable on the right, my skin tone is much more even and looks a lot smoother and now after seeing these photographs together I think I am going to go and purchase ALL the other products in this range! I use this serum both day and night under either my Innisfree Whitening Pore Cream (review to come soon) or my Innisfree Eco Science Cream (when I need more moisture) both of which I use at night. I wear this serum under my Nivea Q10 Day Cream for day time use. The serum comes in a pump dispenser with 50ml of product. The pump is great for measuring out the right amount of product without unnecessary wastage. I always seem to apply too much product to my skin and end up wiping my hands on my towel and wasting too much. The fact that this serum also comes in a pump means it is far more hygienic than sticking your fingers in a tub. I really wasn't expecting much from this product and have been quite shocked at the before and after photographs. The serum isn't cheap though and will set you back W28 000 at your local Innisfree store. You might want to wait until Innisfree has their monthly sales where most of their products are on sale for 30% - 50% off. This serum should last anywhere from 2 - 3 months with daily use (both morning and night) as you only need one pump of product per application. Have you used any of the Whitening Pore range from Innisfree? Did you notice any results? I'd love to hear from you in the comments below! I've been on my video game lately, having published two Youtube videos in one week! I'm feeling very inspired to continue making videos, so If there is anything in particular you'd like to see (beauty, lifestyle, life in Korea, more of my rescue pup!) let me know in the comments below. Also, I would so appreciate it if you could take a moment to subscribe to my channel by clicking here...thank you! Today's post is an everyday makeup tutorial with a very light smokey eye and a bright lip thrown into the mix. This is my everyday makeup look that I wear to work here in Korea and it really doesn't take long to apply. I won't always wear face & eye primer, it depends on whether I remember to apply it and I don't wear eye liner everyday but since I found these 101 Play Eyeliners from Etude House, I wear eye liner more often. They are just so easy to use and are super long lasting. I absolutely love the Innisfree Colour Glow lipstick featured at the end of the video (click here for a full review), it has such an amazing creamy texture and glides onto your lips so effortlessly. You don't need to fuss with putting it on, it just goes on where it's supposed to. I do wish it lasted longer, but that's the problem with creamier lipsticks. I don't mind reapplying it throughout the day though, its easy enough that you don't even need a mirror! Here are full reviews of the products mentioned in the video. Just click on each image to see the full review. Remember to leave me a comment below if there is something particular you want to see in my next video, I love hearing from you! I recently picked up these eyeliners on sale at Etude House for only W3 000, 50% off their regular price of W6 000. I must say that I really wasn't expecting much from them considering they were on sale for so few pennies. I picked up the first one #18 by mistake. The saleslady gave me the wrong pencil by accident and I didn't realise until after I had used it. I was rather annoyed, until Farmboy commented on my makeup, saying how pretty it looked, and then I decided it was actually rather a nice new addition to the dark shades I already own. #18 is a soft pastel shade of lilac and is very light. It goes on almost white (which is great for highlighting and opening up your eyes). I have noticed a lot of Koreans use a light shade of eyeliner/glitter dust on their waterline which opens up their eyes and makes them look brighter and larger. #3 is my favourite of the two and is a smoky, glittery dark purple, grey shade. It's dark enough to finish off a smoky eye, but with the bits of glitter in it make it still very feminine, as opposed to vampy. I use this shade with both light makeup on my eyes as well as for a darker, smokier look. These pencils are wind up, so no fussing with a pencil sharpener. They are also a gel-like consistency which makes them glide easily onto your eye lid. They are easily removed with makeup remover, but they stay put on your eyelid. I have used them with an eye primer and right on my lid with no base and they have lasted the entire day without smudging or going creasing. Pretty amazing little pencils. I may return soon for some of their more playful colours (I spied a teal and an emerald green which could be fun to play around with). 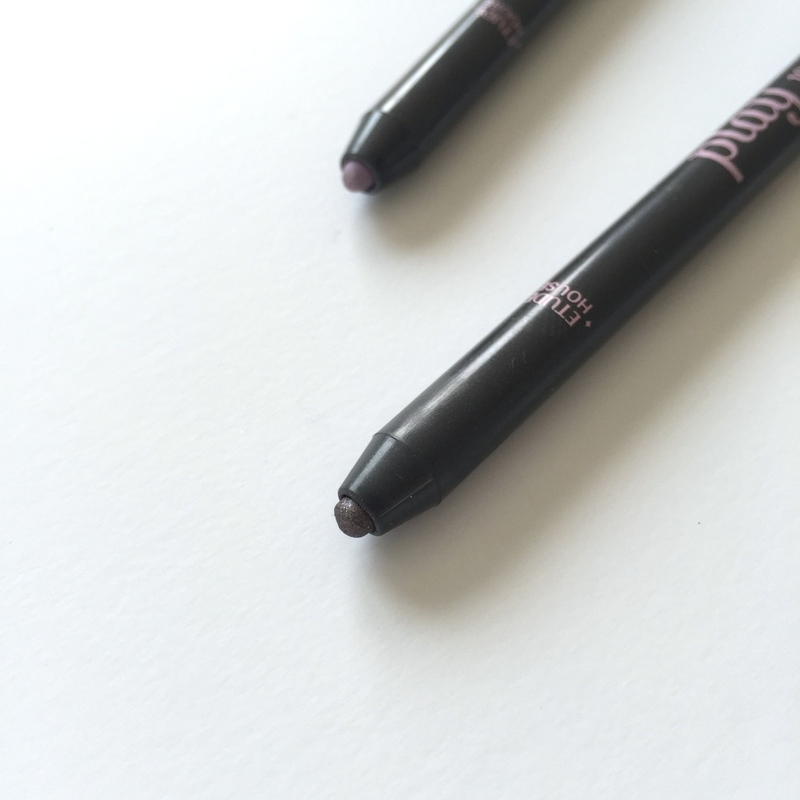 Have you tried these eyeliners before? What did you think of them? 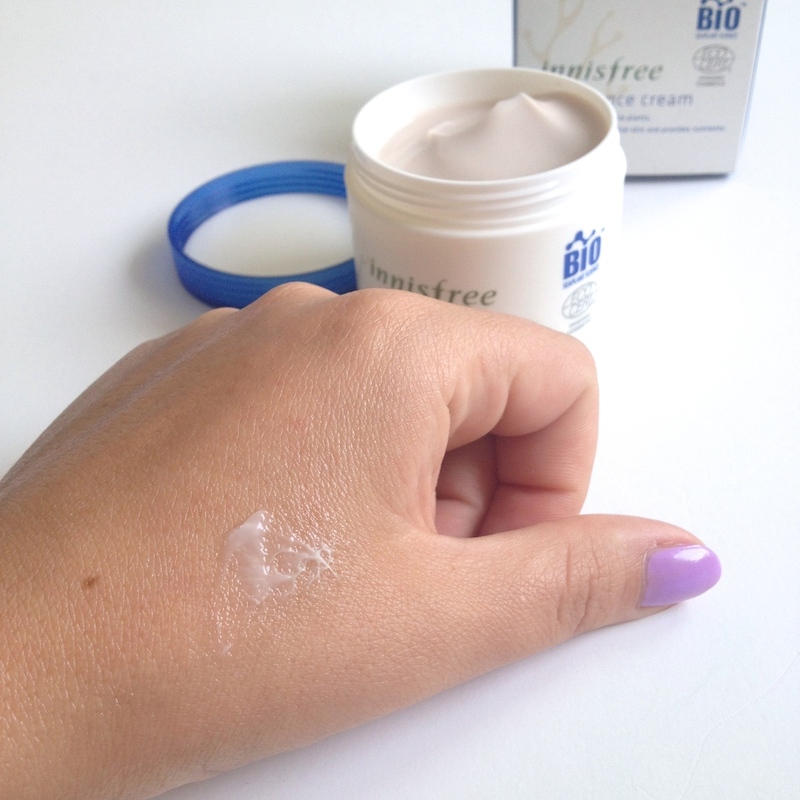 I am rather mad about Innisfree, one of Koreas first authorities on eco-friendly skincare. Innisfree uses extracts of pure ingredients from Jeju Island and their products are packaged from eco-friendly packaging materials. There is a lot to love about this brand, and my Instagram feed is testimony to my love for their products. #11 (pictured below) is a red shade with a mostly orange tint. It also has little glitter pigment which makes for a pretty sparkle on your lips. I find that the glitter pigment does mean that the texture is a little rough on the lips but because of this I find it has more staying power than #7 which doesn't have the same glitter texture. It's not uncomfortable by any means, but it's not as smooth as the other shades in this range. I like having the option though and use this shade of red when I'm not feeling bold enough for my Innisfree Cream Mellow lipstick in #8. The bottom of this lipstick shows a very red colour, but the actual shade is far more coral than red. As you can see below when worn on the lips, this is far more orange that the actual tube suggests. #7 (pictured below) is a soft fuchsia shade that wears down to more of a purple shade after a few hours. The texture of this particular shade is soft and silky, with glides onto your lips, feeling more like a lipgloss than a lipstick. I find I need more than a few coats of, whereas #11 only requires two coats for a strong look. This shade is very moisturising on my lips and doesn't dry them at out at all. I love the colour and find that it goes with just about everything. Although it looks like a bright shade, it actually is very pretty and not 'in-your-face' like the tube suggests. This is my favourite of the two shades and I wear it almost daily. You can buy these from your local Innisfree store for W12 000 each. I picked these up during the latest big sale at my local Innisfree for W6 000 a pop. 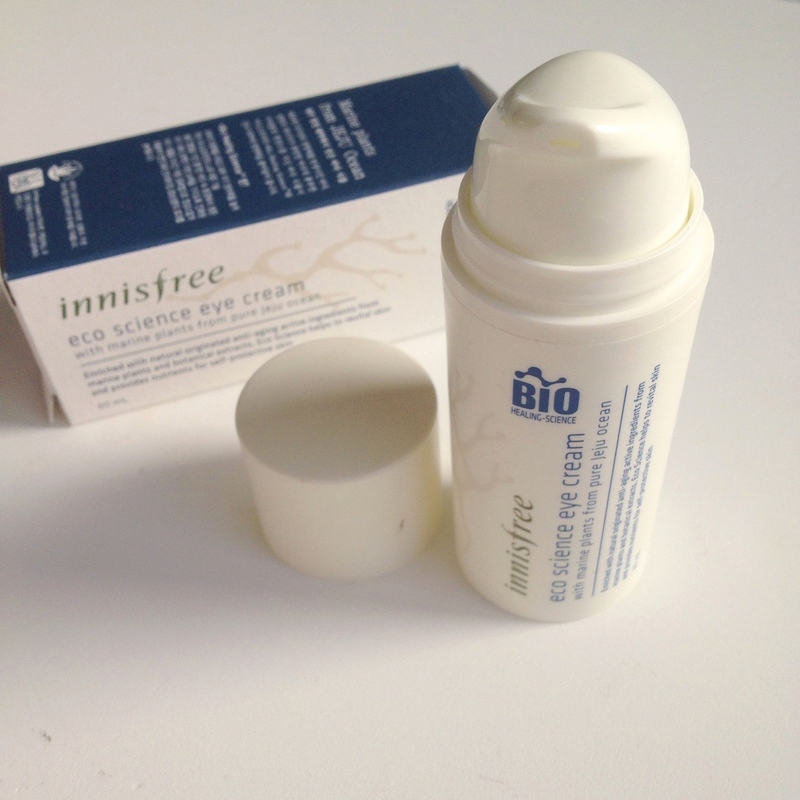 The Eco Science range is an anti ageing line of products from one of Korea's natural skincare brands, Innisfree. It's no secret that I love Innisfree and spend an unhealthy amount of time in there (my Instagram feed is proof to my obsession with this brand!). I first read about this eye cream from Sheryl (one of my favourite Asian skincare gurus) and she raved about it. I had been using the Olay Total Effects Eye Transforming Cream (I even brought a tub over back in 2013 when we came to Korea the second time) but I must say this Innisfree one is even better. This is my second tube and I just can't get enough of it. What it says on the box "This skincare product is naturally derived with wrinkle treatment that promotes skin vitality with marine plants from the clean and pure ocean of Jeju Island. It contains marine plants that are rich in Vitamin A and minerals to rejuvenate the ageing skin and to foster the self protective power of the skin. The cream comes in a pump tube and dispenses exactly the right amount of cream for both eyes. I hate eye cream in tubs as I never know how much to use and either end up wasting it or not using enough and having dry under eye areas. This handy tube does all the guess work for you. I have most definitely noticed a reduction in the nasty little fine lines that started appearing around my eyes last year (I am going to say they are my smile and laughter lines because I am always smiling!). My eye area looks plump and smooth after applying the cream and I love the texture of the cream. It's smooth and easily sinks into the skin. I will be on to my third bottle soon, and even though it is on the pricier end of the scale (W28 000 for 30ml) it's absolutely worth it for me. I usually stock up my skincare products when Innisfree has their monthly 20% - 50% sales. Welcome to Klairs' latest addition to their makeup range. This creamy concealer was designed to be used in conjunction with their Supply BB Cream (click here for a full review) but it works wonderfully by itself or under your own choice of makeup or bb cream. I have been a big fan of Klairs for a while now, because their products are simple (they don't test on animals! ), natural and they just work. I am an especially a big fan of their Black Sugar scrub (click here). If you'd like to know more about their products and read reviews of what I have tried and tested so far then click here. I get all my Klairs products from WishTrend who are an awesome online store that deliver world wide so no matter where you are in the world you can get your hands on amazing Korean beauty products. The Klairs Creamy Concealer Natural fit is a medium coverage product that works particularly well on my normal to oily skin. It blends seamlessly into my skin with or without my favourite Velvet Skin primer from the FaceShop. It covers up redness and does an okay job of dealing with my pigmentation. I am not into heavy makeup and prefer a natural look, and that is why I love this concealer so much. When I am needing a little more coverage I use this with the Klairs Supple BB cream and top it off with a dusting of translucent powder to set my look. My biggest skin concern when it comes to makeup is my pigmentation. I get the odd pimple here and there (and this concealer does a great job of covering them up even with just one payer of product). I know that there aren't that many products that offer full coverage for skin issues like pigmentation so I did not expect this concealer to provide full coverage. I find the products that do offer full coverage sit very heavily on my skin and I don't want to look like a barbie doll. This is why this concealer is just right for me in that it offers medium coverage without looking cakey. Depending on how I'm feeling I use this concealer alone, under my Innisfree Mineral pressed powder, and under/on-top my Klairs BB Cream. 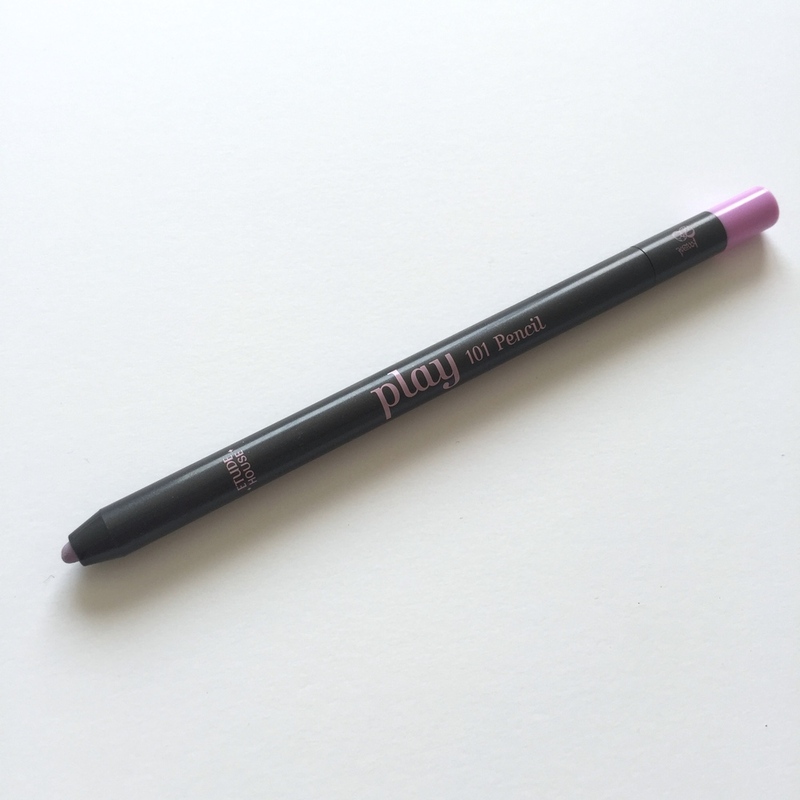 It has quite a thick consistency, which I really like as you feel like the product is actually going to provide coverage rather than those more liquid concealers which get absorbed into your makeup brush too easily. I use my favourite Sigma F80 flat topped kabuki brush to blend it into my skin. I have swatched the concealer below and you can see it's coverage in relevance to the freckle on the right. This concealer has medium coverage that is definitely buildable. The swatch below is from 1 layer of concealer. I have a medium skin shade (Mac NW 25) and I find this shade to work very well for my skin tone. If you have very light or fair skin, this shade would be a little dark for you. I would say it wouldn't be suitable for anyone with a lighter skin tone than NC 25. This concealer only comes in one shade, which may be frustrating for some, but I have found that is similar to the Klairs BB cream which also only comes in one shade but suits a multitude of skin tones. But do bear in mind that my skin tone is an olive shade and I wear Mac NW25. You can purchase this Concealer online from WishTrend for $14.99. If you enter this code 052313605 at check out, you can also save yourself $5! Disclosure: I received the above products for review purposes but the opinions expressed here are 100% my own. This post contains affiliate links, which means I receive a small commission should you make a purchase using one of the links. It's the start of the cooler weather here in South Korea and I have been wanting to cut a fringe for the past few weeks. Cooler weather means much less maintenance when it comes to a fringe, or bangs as my American friends say. All girls with a fringe will sympathise with me when I say that that part of your hair does not tame easily, especially if you exercise a lot. A few weeks ago I noticed a number of my students had cut their gorgeous, long hair in favor of a bob, and when I asked them why they had cut their hair, I was quite surprised at their answer. They had donated their hair to cancer charities. After asking a few more questions about it, I decided I wanted to do the same with my hair. In the past 20 years I have only had one 'short' hair cut and that was to below my shoulder, hardly short I would say, and so this was quite a big deal for me. Instead of thinking about it too much, I decided to make the change last week Tuesday and then walked into a salon here in my small town and had it all chopped off. Over 30 cm's of hair! Here are a few snaps of my hair pre-cut (as in, the morning of the day I cut my hair). It was long, wavy and looked a bit endy. I was never the type of girl to spend hours curling or straightening my hair, and this is how it looked naturally after a quick once over with the hairdryer after a shower. The Eco Science range is an anti ageing line of products from one of Korea's natural skincare brands, Innisfree. It's no secret that I love Innisfree and spend an unhealthy amount of time in there (my Instagram feed is proof to my obsession with this brand!). This is my second purchase of the Eco Science Cream, which I just love. This cream is enriched with natural anti-ageing active ingredients from marine plants and botanical extracts from Jeju Island and is said to 'regenerate skin and provide nutrients for a self-protective skin'. As I am going into my late twenties, I have started to notice a few extra lines (I am going to call these laugh lines and say they are from squinting with my camera and not because I am getting old!). I had heard only good things about the Eco Science range of products which are aimed at ageing skin. In Korea, most skincare lines will carry a cream & a lotion (which is sometimes referred to as an emulsifier). Lotions/Emulsifiers are very light moisturisers which would best suit skin in summer, or very oily skin due to the lighter texture. These are usually water based. Creams on the other hand are have a much thicker texture and are used in winter, or for those with dry to very dry skin. During Winter this was my go to moisturiser which saved my skin from the harsh winds and snow, as well as the indoor heating which can wreck havoc on your skin. I now use this every other evening as my night cream, or when I feel like my skin is thirtsy. The light grey coloured cream has a thick texture and comes in a round, white tub. The tub is filled with cream (80ml of product) so no sneaky packaging has been used to give the appearance of more product. I always get so cross when I open up a cream and see half the bottle is purely packaging, this is so wasteful (financially and environmentally!). Luckily for us, Innisfree is all about being ECO friendly and is great with their packaging (their boxes are even all printed with soy ink!). The texture of the cream when applied to your skin is sticky, and depending on how dry your skin is, it might take a little while for the product to sink in. I have found that in summer it takes a long time for it to sink into my skin. This can be a bit annoying as I sometimes feel like I am leaving residue on my pillow. This is why I would recommend it for winter or for anyone with very dry skin. Whenever I wake up after using this the night before my skin is incredibly smooth and plump and feels firmer to the touch. I have also been using this with the Eco Science Eye Cream (this is my favorite eye cream...review to come soon) and most recently with the Eco Science Skin toner (review to come soon). I recently purchased the Whitening Pore Cream (review to come soon) and use it interchangeable at night with this one. The Korean skincare regime is extensive, with most women using a serum, essence, lotion AND cream every day. I simply don't have the time and use a cleanser, toner, cream and eye cream with a suncream during the day. I will be doing a breakdown of my current summer skincare regime soon. I am on my second tub of this cream (it comes in a 80ml tub) and will definitely be repurchasing more when winter comes. It is on the pricier side at W28 000, but I try and stock up when Innisfree has their monthly 20% - 50% sales. Also, 80ml of product lasts me over 3 months so it's definitely worth the price for the amount of uses you get out of each tub.